Each package contains: (4) a one year supply of refills. This extended surface filter media is produced from a high quality blend of natural and man-made fibers. 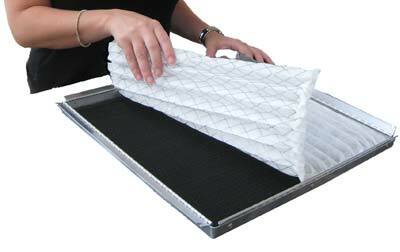 This air filter combines superior air filtration with low pressure drop for maximum efficiency. Arrestance : 95% @ .50" w.g. I have suffered from Allergies my whole life. Pet, and out door hay fever. The key to controlling it , is filtration.These filters are rated at almost hospital level Merv 14.The difference is obvious, at least to people like me. 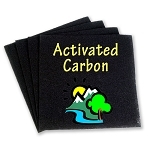 I also use the carbon filter. It keeps all the pet odors and cooking smells in check and our house always smell clean and fresh. I would reccomend these to all pet owners, large families that love to cook or just anyone who enjoys clean freas air, indoors. have been using for the BioPleat filters for a few years now and love the permanent frame and just replacing the filter component. These are easy to replace and really cut down on the dust and dander in our house. Just put in all hardwood floors so we really need something to capture the small and big stuff. Love them and the price is very competitive. Product works very well and is easy to change. Having it delivered to the house is another plus. Only negative, wish F.F. would keep my size on file so I don't have to fill the form out every time. We have been using these filters since 2002. The email reminders and ease of ordering make them great. The clean air they provide our family make them amazing. Definitely would recommend them. 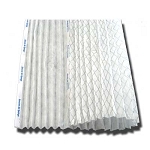 After identifying our filters were not standard sizes we set out to locate custom filters. Needless to say our internet choices were many; as we began our research we learned all ac filters were not equal choosing Filter Factory BioPlete filters. Our research results were confirmed when an AC Tech performed preventative maintenance to one of our units commenting our coils were the cleanest he has ever seen over the course of his career. We will continue investing in our health while hopefully also extending the life of our high end AC units. Filters fit custom made frames specific to an individual's need and fit like a glove. can be Purchased in several filtering capacities allowing for greater quality selection in case a home has someone with asthma or allergies. Very happy with product quality and service. Hard to find size; good product! This size was hard to find, so it was nice to find it, and have it shipped right to my door. Filters work good, too! THE FURNACE REFILLS WORK SO WELL THATY THEY REMOVE MOST OF THE DUST FROM THE AIR. THEY FILTER SO WELL THAT EVEN MY HOME IS LESS DUSTY. IN FLORIDA DURING EVERY SUNNY DAY YOU CAN SEE THE DUST PARTICLES EVERYWHER WITH THESE FILTERS THE AMOUNT OF PARTICLES IN MY HOME IS GREATLY REDUCED. I've been using these filters for years. They do a great job of removing dust, and are easy to replace. I only wish they had sizes larger than 28 inches, as I have a 28 X 30 filter housing, and they need to attach two 15 X 28 filter housings together. It works, but the double-backed tape only lasts a few years. 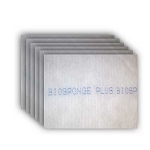 I have used these filters for about ten years and find them to be of excellent quality and provide excellent filtration. They arrive promptly and undamaged due to their packaging. I would recommend them to anyone who is looking for filtration that lasts longer and does an excellent job. We've been using these custom filters for years no - no problems at all. For us, they do last 3 months each (4/year). Seem to keep our A/C running just fine - no complaints! I have been using these filters since I had my Trane A/C installed about 10 years ago. 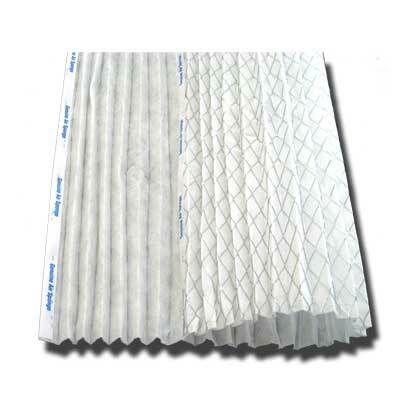 Since South Florida requires cooling almost the entire year I have found these to be the best filter for the climate. They do an excellent job of trapping dust and allergens. Filter Factory does a great job in filling your order and shipping it in a timely manner. I have been using the BioPleat refills for several years, and they work great. I usually replace them on a three month schedule. Q: Need to order the same filter size I received from you before... Just the filters. Frame is ok except I have to keep gluing the magnets back on.. Snap frame. Width is (21 &1/2)--Length (23 &1/2). They are approx 3/4" thick. My last order from you was #FF-10105 on 9/6/2014 if that will help. If not, do you want me to fill out a new order form? Thanks! 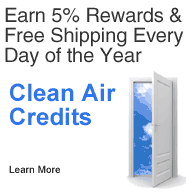 73 Clean Air Credits will be rewarded to you when you buy this item.